Yes, actualy I did. Music was the part of my life since the beginings: my father is a guitar and cello teacher, my mother is a music, piano and choir teacher and my brother played clarined and saxophone. When and where did you start playing the Trumpet? I started to play trumpet in the 5th grade, sincer I was 11 years old. I finished College of Arts at classical music but I really felt that I resonate best with jazz, funk and all music that implies improvisation in one way or another. The improvisation and the idea of letting your feelings free in a musical discourse was apealing to me since the highschool period. I started to learn more about improvisation and to implement it in electronic music - my second love after jazz. So, long story short – I would describe my style as a blend between jazz, smooth jazz, funk, deep house and other electronic genres but I really don’t emphasize a particular style, I think that there is so much beautiful music in the world that can inspire me that it’s a shame to stick just to one or two styles of play. When did you decide to make a living of trumpet playing? I didn’t decide. I think it came naturally. Some people heard me playing, they made me an offer to play in a lounge and then things started to bind. How was your first (paid) gig? 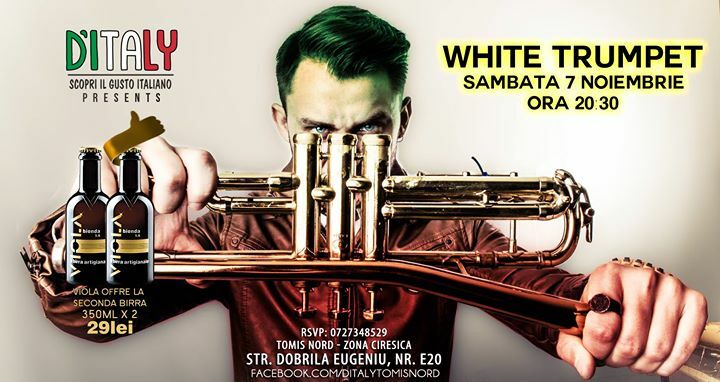 My first gig was in a lounge here in Constanta with a well known radio and club DJ alongside with my good friend saxophonist Basasteanu Cosmin (Mr. Saxobeat). I can still remember that energizing athmosphere and all people dancing. It was a hell of a party ! How do you make a living from trumpet playing? For about 9 years I have a clubbing project with my friend DJ Antonio Parazar. 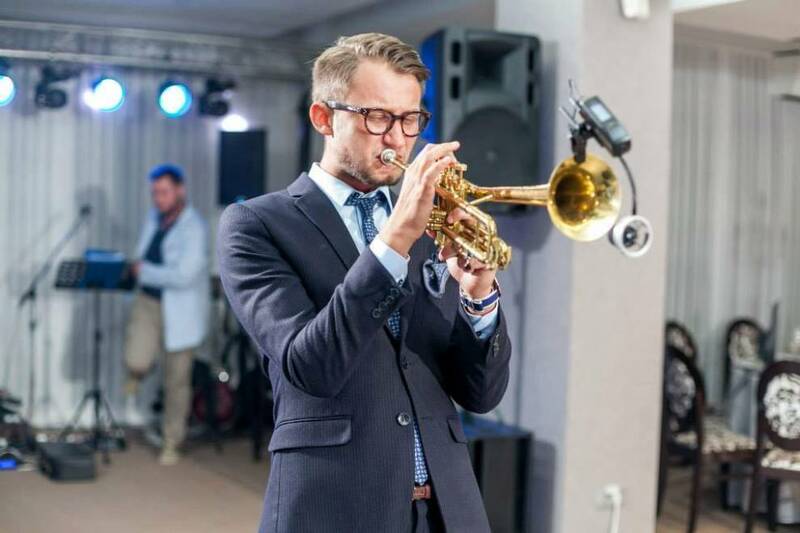 We are plying in clubs, private parties and other events but I’m also collaborating with cover bands and playing some smooth jazz and ambiental music in restaurants and lounges. I thought it was until recent period but over the past year I decided that doing music with effort is not worth the trouble so I started to begin to change my approach of the instrument and beautiful things started to happen. Why is trumpet playing so difficult? It was difficult for me because I was lacking some basic concepts of understanding air flow, embouchure and other essential aspects of trumpet playing. As someone said: “there is many ways to play wrong and just one way to play correctly the trumpet”. So I think I was playing the wrong way and it was a constant strugle for my to achieve that ease of play that make an instrument playing so enjoyable. To get better technicaly I’m trying to stick with my practice agenda and also to explore many other possibilities in musical language with which I can identify myself. I think my motto is: “Don’t do it better, do it differently”. For about a year and a half I am practicing yoga. First it started as a curiosity and also as an attempt to ameliorate the back pain I suffered but then it entered in my lifestyle as a beautiful way to reconnect with my inner self, to relax and meditate. I also realized that my connection with music and with my instrument is much better because I started to analise my feelings better and also beacause I think that music is firstly a spiritual thing. If you are on only holiday you stop playing? If is there a chance to bring my instrument with me in a holiday I will do it without hesitation. I’m studying every day except periods when there is a busy schedual and I didn’t have the possibility or time to do so. I’m also make short breaks of one day when I’m feeling that my chops are tired and I need to relax. How many instruments do you have? I have two Bb trumpets: a 1932 Besson International that I bought on eBay from UK (I really love vintage instruments and had also a Selmer K-Modified Lightweight 20 from 1966) and a new Carol Brass 8060H-GLS with balanced design inspired by old trumpets like Olds Recording or Selmer. Do you think you’re a perfectionist? In one way I am, I do my best to be technically in best shape I can possibly be, but I also think that imperfections make music more beautiful and organic. There are days when I’m practicing alot but also periods when I’m on the roads and didn’t really have time and space to do so. On average I dedicate about 2-4 hours a day to my instrument, sometimes less and sometimes more, as I said it depends pretty much on my event agenda. My “Bible” is “Systematic Approach to Daily Practice” by Claude Gordon. It’s a great book that includes everything you need to practice to get better, stronger and faster. It consists in Lessons that have two or more parts and in order to practice them you must have all the other great methods like: “Lip Flexibility” by Walter M. Smith, Saint-Jacome’s Grand Method for Trumpet, “Lip Flexibility” By Charles Colin, Arbans Celebrated Method, the aspect that I really like because in matter of fact you are practicing simultaneously the very best material for trumpet. What were the eyeopeners for you during your study? I really think that the study time has much in common with meditation. It’s like a state of trance wich allows you to explore yout inner being and all your feelings that connect you with the instrument. What Is your technical goal at this point? Now I have started to review the basic concepts of trumpet playing and all things started to come along: the sound is better, the endurance is bigger, the flexibility is improved. There is still a lot of work to do but I’m feeling that I’m on the right path. I have many artists who inspire me in my journey to became a better musician but the first trumpeter who gave me that enthusiasm and joy of playing and showed me how beautiful a trumpet can sound is Chris Botti. From the moment I heard the first notes I was charmed by his playing and his smooth and silky sound. I also love very much Till Bronner, Paolo Fresu, Fabrizio Bosso, Saskia Laroo and the classics like Miles Davis, Chet Baker, Lee Morgan, Louis Armstrong, Dizzy Gillespie and many many more. I’m also a big fan of Sting and on the electronic music side I like Claptone, Purple Disco Maschine, Chromeo, Axwell, Black Coffee and some great Romanian bands like Golan, Otherside and Soundopamine. What are your favorite youtubes? Cloud – Secrets (https://www.youtube.com/watch?v=BeSkZPD5RjI) and many more from artists like Sting, Coldplay, Jazzanova, Chromeo, Daft Punk, Bruno Mars, Ivan Dorn. To what kind of music to you listen to? I really don’t emphasize a particular style, I think that there is so much beautiful music in the world that can inspire me that it’s a shame to listen just to one or two styles. I’m listening a lot of jazz in all kinds and forms, electronic music in all blends and recipies and also classic rock, funk, rnb, pop, hip-hop, trap, indie and many many more. How do people react if you tell them you’re a trumpetplayer? In the beginning I met quite a few people that thought of trumpet as one of those stiff and not so pleasant sounding instruments mostly used in fanfares and other bands specific to the communist era but in time I saw that the mentality is changing and many associate the trumpet with jazz and funk and other musical genres so pleasant to listen to. There have been cases when people came to me in clubs and said “Man, I didn’t think a trumpet could sound like that!” and I felt very fulfilled in those moments. Trumpet is a beautiful instrument that requires a lot of dedication, passion and sacrifices but in my point of view it’s worth it and it will bring joy and happiness to you and others in your life. For people that just start playing trumpet I would recomand to have patience with themselves, listen to their inner self and beside all technical aspects never forget to enjoy playing some music that will bring so much joy. I’m not really a screamer type of trumpet player, I’m mainly focused to have a good sound and a good foundation and then I think high notes will come naturally. I’m practicing my whole range of the instrument and trying to be as consistent as I can in all registers. What more about high notes ?? Not really much to add. Just stick to the plan and the high notes will come naturally. That’s my philosophy. A wonderful initiative that I hope will create a big community of trumpet players from all over the world and will have a great database to help improve the technical and creative approach of the trumpet. It was a real pleasure to meet such a passionate and dedicated trumpet player and I wish him all the best and want his project to grow and expand bringing together many people in an attempt to elucidate the mysteries of the wonderful world of music.